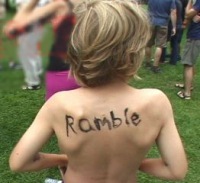 This year in the week between Christmas and New Year’s, PopCult presents “Ramble Week,” a series of seven rambling, barely coherent essays about a diverse array of topics. The first Ramble Week essay, “World Gone Mad”, will be posted in a few moments. It was supposed to be posted on Friday, but evil forces kept the internets from working properly.